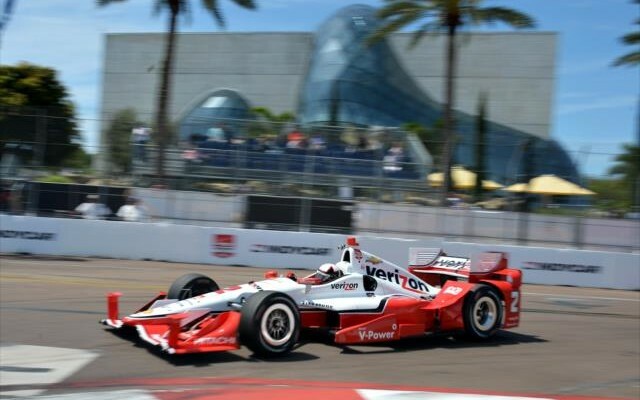 For the first two hours of action on the 1.8-mile combination public road and airport runway circuit in St. Pete, Will Power had things his way. He had led all three segments of qualifying a day earlier for the Firestone Grand Prix of St. Petersburg and looked to have no equal on race day Sunday, even from his three Team Penske teammates who started right behind him on the grid. However, in any form of racing it is not always the fastest car that wins. While the reigning Verizon IndyCar Series champion was lightning quick on the track, the pit lane was a different story. Twice the No. 1 Verizon Wireless Chevrolet crew had the lead, and twice Power would leave his pit box without it. Helio Castroneves first outgunned him during a full course caution, a move that was quickly reversed by Power on the ensuing restart. However, at the two-thirds mark of the event Power suddenly had someone who could keep up with him in Juan Pablo Montoya, driving the other Verizon-sponsored Chevrolet. When the field pitted for the final time with around 25 laps to go, Power was let down by his squad again, this time by a delay in the fuel/vent man releasing the on-board air jack. The two second delay, coupled with a blistering out lap by Montoya, gave the Colombian a three second lead on Power. Put in the role of chaser for the first time, Power slowly reeled Montoya back in and with ten laps remaining, attempted to regain the lead from the Colombian at the tight turn 10. Power’s dive on the inside led to contact between the two, yet both continued on, with the reigning IndyCar champion’s right front wing the worst for wear. Despite the damage, Power would get more one shot at his teammate, when the leaders caught traffic with five laps left. Unfortunately, Power’s last chance would be dashed when he could not clear the lapped car of Sage Karam in a timely manner. For Montoya, the win is his 13th in American open-wheel competition, yet his first on a road or street circuit since claiming victory in 1999 CART Fed-Ex Championship action at Pacific Place in Vancouver, Canada. Power would hang on to second, while the best non-Penske Chevrolet belonged to Tony Kanaan, who drove to a strong third place finish to start his second year with Chip Ganassi Racing. Even with the efforts from TK, Roger Penske’s super team was just as dominant Sunday, as they were in qualifications, as Helio Castroneves despite being shuffled out on a mid-race restart bounced back to finish fourth, while team newcomer Simon Pagenaud although suffering a broken front wing from contact with Charlie Kimball, persevered to round out the top five. For others who took to the streets of St. Petersburg on Sunday however, it was a frustrating one marred by lots of contact and tons of broken parts flying off cars that made up the new aerodynamic kits, which made their debut this weekend. 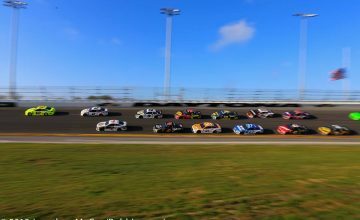 At least nine different drivers among the 24 that started, suffered either a broken front or rear wing at some point of the event, a direct cause of four of the six full course caution flags that flew on Sunday. While many of the damaged items were replaced on the pit lane, a lack of parts forced some teams to make due with the damage to the finish. 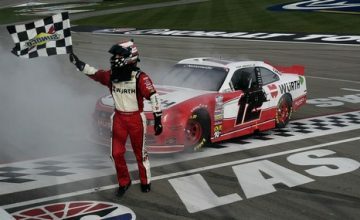 It is unknown whether Chevrolet or Honda will work to strengthen the new pieces prior to the next round of the championship at the NOLA Motorsports Park, in New Orelans, Louisiana in two weeks from now. Stay tuned to Rubbings Racing for full coverage of the 2015 Verizon IndyCar Series championship.